Procedures including the use of swimming pools, showers, steam baths and saunas, warm and cold baths, herbal and aroma therapy tubs, oral intake therapy. Swimming pools – combined effect of the plain or mineral water and the mechanical factor (the body movement) – actively performed by the patient him/herself or passively helped by the lifting power of the water. Shower procedure – pouring over or massaging by adjusting the water stream intensity. It has a calming, toning and invigorating effect. Types – classical shower, Charcot shower, contrast shower. Classical Hydrotherapy the body is treated in a seated or standing position with a few streams of water at a particular temperature and pressure. Mainly the mechanical and the temperature properties of the water are used. Shower therapy – a lukewarm shower at 35-37oC and 1,5-3 atm. pressure. The procedure is recommended for stress relief. Contrast shower – a procedure of alternating hot and cold water jets. A shower chair is used. It has toning effect and stimulates the blood circulation. Mineral baths – mineral water therapy by immersing the body. The curative effect is mainly due to the specific components of the therapeutic gases, mineral salts and trace elements. Thalassotherapy – means using seawater for therapy and apart from it – benefiting from the characteristics of the sea climate. Tangentor – bath tub with underwater jet massage under pressure. The effect is obtained through the combined action of the water mechanical factor and the balneological properties of the mineral water. Whirlpool (Jacuzzi) bathtubs – a spa tub with mounted nozzles connected to an ejector pump producing whirlpool effect in the water with variable intensity and direction. Steam bath – the healing properties of the water are used in the form of steam at high temperature. Sauna – hot dry air procedure using high temperature of the air at low relative humidity. The sauna is combined with a hot shower or swimming pool with short breaks in between. It is facilitating the comprehensive relaxation and detoxification of the body. Underwater physical therapy – specific exercises are performed in a swimming pool with mineral water at 36-37oC under the guidance of a rehabilitation therapist or kinesiotherapist, while the water resistance ensures better motility of the joints and relaxing effect. Thermal water therapy by oral intake – mineral waters taken by drinking are exerting their healing effect on the mucous membrane of the gastrointestinal tract, excellent effect in liver and gallbladder, renal and urological diseases or general intoxication etc. For the mineral water intake it is of extreme importance to follow the right dosing schedule prescribed by physical therapist (balneologist), as well as the duration, quantity, frequency of intakes and the water content. Irrigations – the use of mineral water for nasopharyngeal rinses, throat washes etc. for healing purposes. Inhalations – Made with mineral waters, drugs and also essential oils. They have antibacterial, anti-inflammatory, regenerating, expectorating effect, stimulating the entire immunity and acting not only on the organs but on the entire organism as well. Steam inhalation – 3-5 drops of essential oil are instilled into a bowl full of hot water. A towel is placed over the top of the head leaning over the bowl. The patient inhales and exhales deeply through the mouth and the nose. The eyes are kept shut. The procedure lasts 3 to 10 min. It is recommended for acute upper respiratory tract infections and other. Treatment by movement. This is the most important part of the rehabilitation program for a number of patients, especially for the disabled since the restoration of impaired or lost functions is impossible without target treatment and movement. Active kinesiotherapy includes: therapeutic exercise, games (active and entertaining), sport elements, occupational therapy (result-oriented work activities appropriate for the patient’s condition), on-field treatment (walking therapy) etc. Passive kinesiotherapy includes: various types of massage (partial or full body). Mechanotherapy – it consists in inducing passive movements by means of machines and apparatuses. 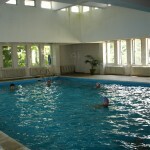 Roche is used in suspension and pool therapy. It helps improving the lymphatic and blood circulation, the trophic processes in the muscles and the joints. Manual therapy– These are soft tissue techniques and manipulations aiming to remove functional blocks of the spinal joints and the peripheral nerves.Manual therapy is an alternative method for the treatment of spinal and joint medical conditions. It includes various types of techniques – setting joints, pressing, twisting etc. of the spine or the limbs. Pneumomassage is a method using air waves or special devices line Vacusan, Intellect and other to produce a massage effect. Acupressure is a massage practice following the philosophy of acutherapy. According to it the body is covered by hundreds of energy spots that could be influenced in order to achieve relaxation, generate energy or reach harmony with one’s own nature. Acupressure is using specific techniques of pressure, consecutive touching. This is a branch of the physical therapy embracing the application of IR (infrared), VL (visible) and UV (ultraviolet) light for curative and medical prevention purposes. Its sources of action are: quartz lamp, solux, infrarouge. The light is known for its characteristic biological (intensifying the metabolic processes in the body) and bactericide effects. It is applied successfully for the treatment of rickets, diabeters mellitus – to reduce the blood sugar levels, for controlling the cholesterol levels and boosting the protective, immune and biological reactions of the body. The use of electrical energy in medicine is known as electrotherapy. The electrical treatments are applied for the treatment of inflammations and pains in the locomotor system and the peripheral nervous system, against pareses, paralyses, chronic gynecological, upper respiratory tract and digestive system disorders. Our facilities work with high-performance apparatuses meeting the contemporary standards. Galvanization – Galvanostat – the galvanic current acts mainly on the skin and the nervous receptors within it. It is important to note that its curative effect is not only local (in the area of application) but also extended. Electrophoresis – A combined therapeutic method by which medications are supplied to the body by means of galvanic current. Dynamic current – Bipulsator – acting physiologically – a strong painkilling and vasodilatating effect, one of the best pain relief agents, considerably prolonging the anesthesia in combination of analgesics. Electrical stimulation – Local and reflectory application on muscles with impaired innervation (or peripheral nerve lesions). It is applied locally on the relatively relaxing muscle antagonists to the spastic muscles. Sinusoid modulated currents – They act as painkillers and boost the trophic effect in the muscle and joint system. Interference currents – Generated in the tissues in result of the crossing of two medium frequency currents. Excellent therapeutic effect for contractures, Sudeck’s atrophy, accelerating the callus formation. Microwave (Radar) therapy – Appropriate for patients with traumatic neuritis, postoperative infiltrates, maxillar sinusitis, otitis, chronic adnexitis, prostatitis, arthritic conditions, rheumatoid arthritis, acute bronchitis, asthma etc. with distinct anti-inflammatory effect. Ultra high frequency currents (UHF) – The therapeutic effect is based on the endogenously produced heat having hyperemic, anti-spasmatic, painkilling effect and acting as a powerful stimulator for the immuno-biological and regenerative processes in the body. D’Arsonval current – It has a pronounced trophic effect and accelerates the regenerative processes in various (atonic) ulcers. Ultrasound therapy– Acting as a micro-massage on the tissues by transforming the energy into heat by means of which the ultrasound quickly wards off edematous swellings, with excellent therapeutic effect on inflammatory processes of traumatic and non-traumatic origin. Ultraphonophoresis – consists in the infiltration of medicinal substances through an unimpaired skin by means of ultrasound. Note that the US acts as a catalyst accelerating the resorption and the diffusion of the medicinal substances, intensifies their effect and forms a depot in the pathologically affected area. It is widely used for the treatment of locomotory system diseases. The Laser is a single wavelength directed beam. Its physiological effect includes biostimulating effect, regeneration of tissues – skin, muscles, immune system stimulation, pain relief and anti-inflammatory effect, activating the metabolic processes and boosting the blood supply to the tissues. Laserpuncture – Method acting on the acupuncture points with the laser ray without damaging the skin integrity. The impaired function in traumatic, orthopedic, neurological, allergic, gynecological, dental, dermatological and other conditions is recovered by reflection. Magnetic therapy – The medical practice makes use of direct, low frequency, alternating and impulse magnetic field. The therapeutic effect is obtained by exposing a selected area of the body to the effect of a magnetic field which helps creating a collateral vessel network with vasodilatating, antiallergic, anti-inflammatory and anti-swelling effect. This is the only electric procedure that could be applied with the presence of other foreign matter into or over the affected area (plaster bandage, metal splints etc.) This therapy has an extremely good anti-inflammatory and painkilling effect in locomotory diseases, postfracture conditions and peripheral nervous system disorders, luxation, disc pathology, sciatic neuralgia, lumbago etc. Resonance magnetophoresis – иновативен инструментален метод за трансдермална доставка на медикаменти посредством специални гелове. This is an innovative instrumental method of transdermal supply of medicines by means of special gels. The GunaPhoresis machine functions after the principle of RESONANCE MAGNETOPHORESIS, i.e. transdermal supply of active substances. This is a special generator of ULF (ultra low frequency = < 100 Hz) and low intensity (<100 G) magnetic field. Ø Acting in synergy with the classical homeo-meso-therapeutical techniques. The thermal therapy includes heat therapy and cryotherapy. Heat therapy is used as exogenous heat induced by the warming of paraffin, sand, clay etc. for therapeutic purposes. It has a relaxing, anti-inflammatory, anti-spastic effect and contributes to the production of biologically active substances in the body which are beneficial to the complex treatment of diseases affecting various systems and organs. 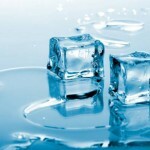 Cryotherapy is actually an ice/cold therapy. It is most often applied to treat injuries, joint dislocation, arthritis, gout crisis in their acute phase. It is also used for the relaxation of spastic muscles in post-stroke condition. A basic group of medical conditions for which mud therapy is indicated is the one including inflammatory or degenerative disorders: of the locomotory system, peripheral and central nervous system, reproductive system organs (extraordinary effect on sterility in both genders), skin diseases (special importance in the treatment of psoriasis). Egyptian method – an ancient and preferred method. A thick layer of warmed mud is spread over the body in the open air and finally the body is showered with warm mineral or sea water. Using aromatic essential oils as a way to cure and improve the general condition. Several drops of essential oil in combination with fragrances are used. A basic rule for the essential oils is that they should be used externally – through the skin (massages, bathtubs), through the respiratory tract (inhalation) – in the form of drugs. Massage – the massage is made with the essential oil. It is prepared by adding a few drops of essential oil to the vegetal oil. The effect is double – from the massage and the oil type. Bathtub – one of the most efficient ways for the body to absorb the vegetal oils with powerful effect for the entire human organism. Bathtubs can be also partial – only for the hands or the legs.